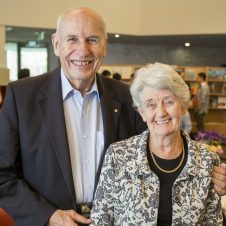 Last year, UWA DVCR Professor Robyn Owens signed off on a $1.4m investment to support the operations of two major astronomical facilities—the Anglo-Australian Telescope (AAT) in New South Wales and the European Southern Observatory’s 4 Metre Optical Spectroscopic Telescope (4MOST) in northern Chile. Now 4MOST is introduced to the scientific community with the publication of 13 papers. Layout of the different subsystems of 4MOST on the VISTA telescope. Credit: 4MOST Consortium/Allar Saviauk. 4MOST is a new wide-field spectroscopic survey facility under development for the four-metre-class Visible and Infrared Survey Telescope for Astronomy (VISTA) at Paranal in Chile. It is on one of the best observatory sites in the world and provides access to unique objects in the southern hemisphere, most notably the Galactic Centre and the Magellanic Clouds. The 4MOST design allows tens of millions of spectra to be obtained via five-year surveys, even for targets distributed over a significant fraction of the sky. The instrument is under construction at a number of consortium institutes, coordinated by the Leibniz Institute for Astrophysics Potsdam (AIP), Germany. On the operations side, the proposal selection process starts while the manufacturing will continue into 2021. Once the subsystems are finished at the different institutes, they will all be transported to Potsdam and extensively tested as a full system. In 2022, they will be shipped to Chile and installed on the VISTA telescope. The 4MOST operations scheme differs from other ESO instrument operations in that it allows many different science cases to be scheduled simultaneously during one observation. 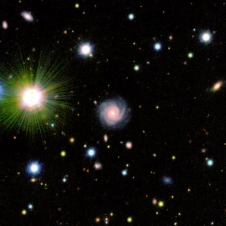 The science programme itself is organised into surveys centred on stellar objects to perform Galactic archaeology of different components of the Milky Way and the Magellanic Clouds, on extragalactic objects aiming to characterise cosmological parameters, the nature of dark energy and dark matter, and the formation history of galaxies and black holes. All surveys on 4MOST will be public surveys, which means that the raw data and higher-level survey products will be published in the ESO archive. 30 million – galaxies to be studied by the full 4MOST Consortium. 27% –proportion of the Universe made up of dark matter. 68% – proportion of the Universe made up of dark energy. $1.4 million – UWA investment in the 4MOST and AAT partnerships. $3.0 million – Funds raised by UWA researchers to construct the Australian European Southern Observatory Fibre Positioner to be installed on 4MOST. $120 million – Investment by the Federal Government into the European Southern Observatory over the next 10 years. The 4MOST consortium consists of 15 institutes in Germany, the UK, France, Sweden, Switzerland, Australia, and the Netherlands, under leadership of the Leibniz Institute for Astrophysics Potsdam (AIP). More than 330 scientists and engineers are working on 4MOST and contributed to the publications.